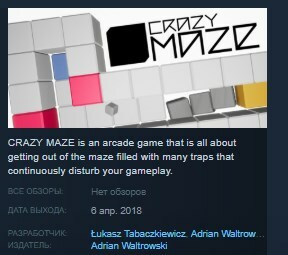 CRAZY MAZE is an arcade game that is all about getting out of the maze filled with many traps that continuously disturb your gameplay. This apparently basic concept combined with various mechanics delivers many hours of intriguing and challenging gameplay. Clean design and matching soundtrack make the game even more enjoyable. You control the game using a mouse.